Former RAF Chief Technician turned business coach, Graham Orange, has scooped a national service leaver award for his successful transition from the services to civvy street. In the last year, Graham has faced the unknown but regardless of its bumpy start, Graham loves his new career and lifestyle. Being self-employed through ActionCOACH brings Graham great job satisfaction. Now Graham has been honoured in the Nationwide Resettlement Award for Service Leaver Franchisee of the Year 2016, beating two other worthy category finalists. He was presented with his award at a glittering black tie event held at Hotel Football in Manchester by Bill Turnbull, journalist and TV presenter. With retirement from the RAF in sight, Graham spent years researching options available to him as the possible owner of a franchise. It wasn’t until January 2015, when working as Chief Technician in the structures bay at RAF Marham, that Graham spotted an advertisement for ActionCOACH, the world’s number one business coaching franchise. Graham is thrilled by the award win, “It was suggested to me by a colleague that I enter the awards and, not having done so previously, I was a little nervous. Once I had completed the application form, with some fantastic help from my wife, Liz, I felt that it was definitely the right thing to do and that my family, friends and the franchise deserved recognition for their support. “I felt honoured to be nominated as a finalist in the Service Leavers Franchisee of the Year award and felt very excited about attending the dinner to celebrate the winners’ accomplishments. Little did I know that I would be walking away with the trophy and the biggest smile ever! 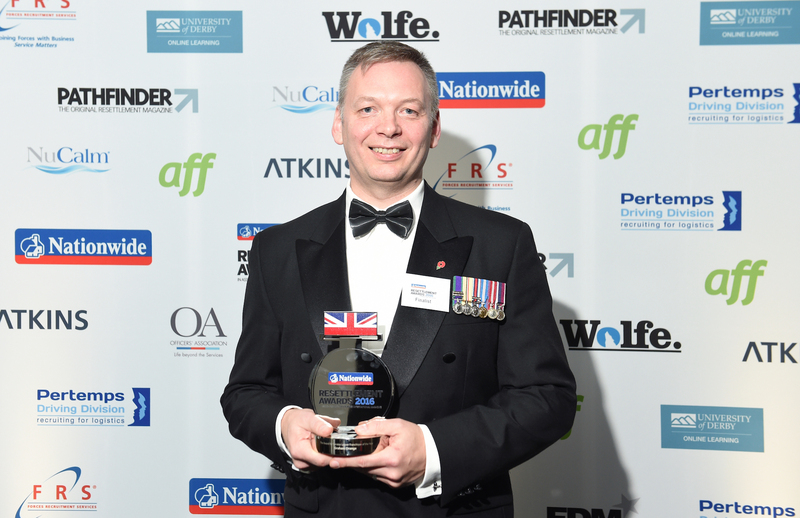 This is the second year that an ActionCOACH franchise owner has won this title with former Army captain, Steve Gaskell, taking the trophy in 2015.